The three day summit, which intends to promote solidarity and strengthen advocacy efforts with policy makers and elected officials for those suffering in the Middle East, features human rights experts, public officials, representatives in public office, policy makers, diplomats, and Church leaders and representatives from across the Middle Eastern Christian community. 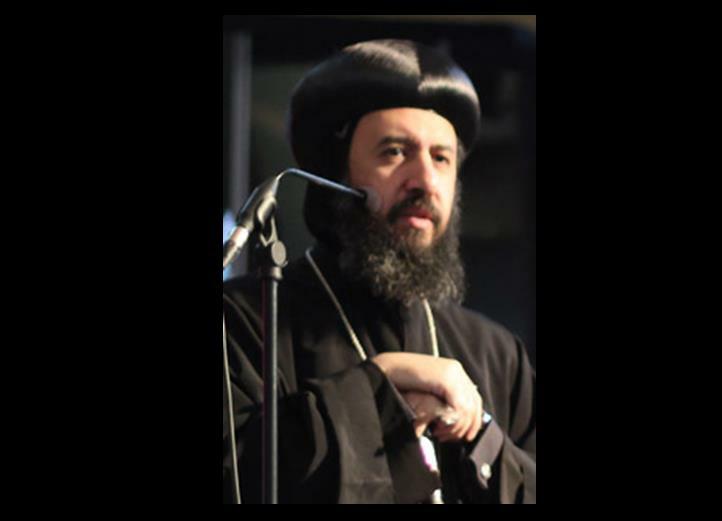 Bishop Angaelos will deliver another keynote address on Thursday 11 September at the Summit 1:30-3:30pm (BST) 8:30-10:30am (EDT). His Grace will also be representing His Holiness Pope Tawadros II, 118th Pope of Alexandria and Patriarch of All Africa on the holy Apostolic See of Saint Mark. The widespread brutality facing Christians and minorities in the Middle East is intensifying, and gross violations of the God-given right and freedom to practice Faith and belief, as protected by Article 18 of the Universal Declaration of Human Rights, is increasingly experienced by them in their homelands. Heightened levels of extremism seek to eradicate indigenous Christian communities that have been a vital part of the identity, culture and heritage of the Middle East for over two millennia. Those communities that do not fit within the extremist ideology now spreading through the region are at greater risk of no longer being a part of its fabric. The model of intolerance and extremism that we are witnessing, will become legitimised and replicated throughout the Middle East and further afield if left unchallenged, and will continue to marginalise, alienate and destroy all in its path. While Christians continue to suffer the brunt of these dangerous levels of exclusion and dehumanisation, Yazidis and other religious and ethnic minorities, including many Muslims, also suffer the same fate. Innocent men, women and children face extreme persecution, torture and murder for their Faith. The loss of these historic communities, with their stabilising and reconciling presence, will not only have a detrimental effect on their own countries but on the entire region. This is a time for collaboration and a unified effort against ideologies that seek to attack the fundamental principles of human rights and civilisation that have developed over millennia. Christians, along with those who live by faith, morals, and ethics, and the international community, must collaborate to address this threat against not only innocent civilians, but our way of life as we know it today. Rhetoric used to describe the atrocities in the Middle East must no longer remain within a religious framework, but rather deal with these events as unacceptable crimes against citizens of countries who are entitled to the basic rights and freedoms of all. It is within this context that the international community must commit itself to providing, supporting, and advocating, in every way it can, for Christians and others whose fundamental right to freedom of Faith is denied in Iraq, Syria, Egypt and the wider Middle East. We give thanks for our brothers and sisters who despite immense challenges, continue to live their Christian Faith with extraordinary strength and resilience, but as Christians we do not pray and advocate for them alone, but for all those denied their God-given right to freedom in the Middle East. 0 Comment(s) to the "Statement on Religious Freedom in Iraq, Syria, wider Middle East"